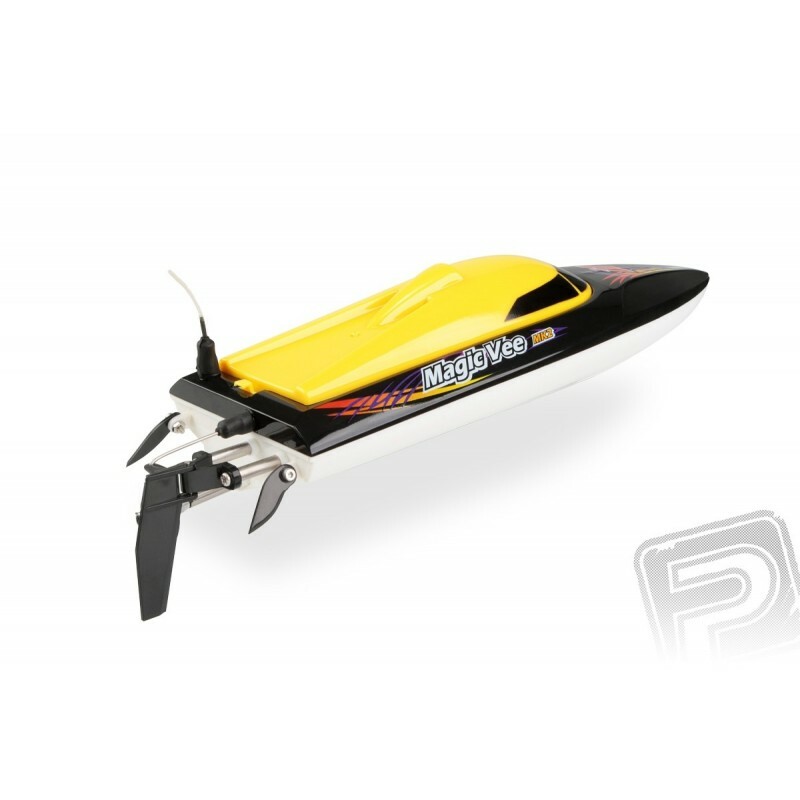 Miniature speedboat (270 mm) with 180-inch plastic body. 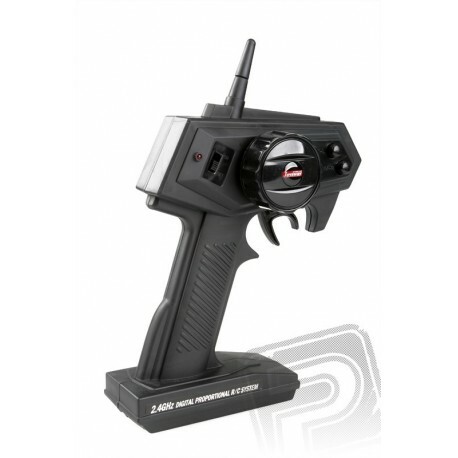 Completely finished model with 2,4GHz 2-channel pistol RC and electronic speed controller. 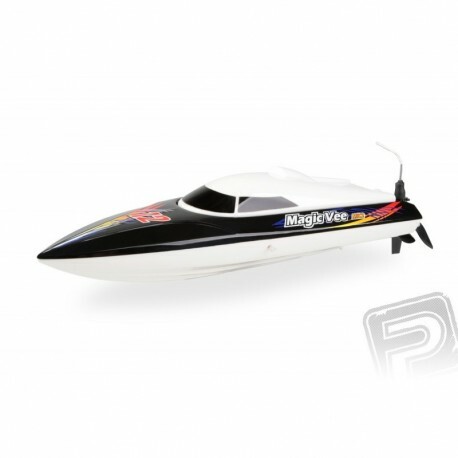 Miniature speed boat with electric motor with a plastic hull length of 225 mm (total length 270 mm) for a pleasant holiday poježdění even in small bodies of water. 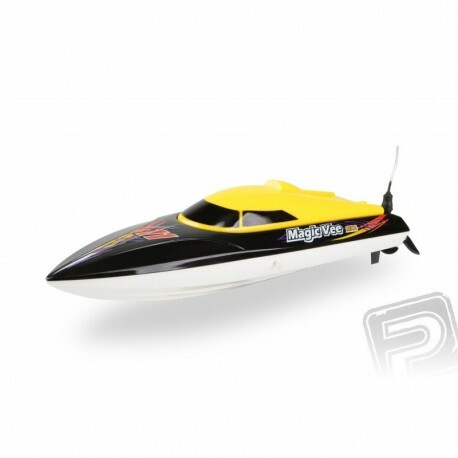 Model comes finished in three colors (white, red and yellow with a white underside of the hull), ready to sail (just charge and insert the batteries are) with DC motor Series 180 with water cooling. 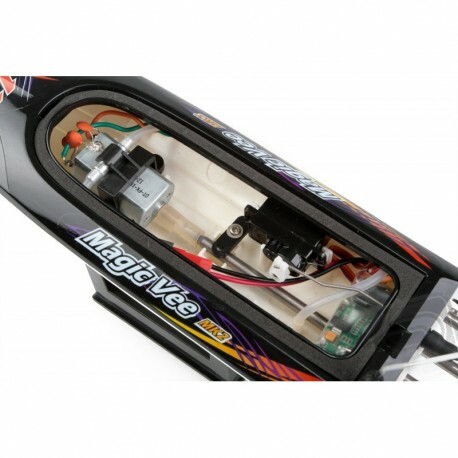 Cooling water is sucked through the nozzle at the bottom of the boat, out of the boat is drained from the left side. Engine power is transmitted via a flexible coupling to the ship's shaft poloponořeným three-bladed screw. The direction of travel is controlled by an eccentrically arranged helm, as is customary with ships designed for driving on the circuit clockwise. 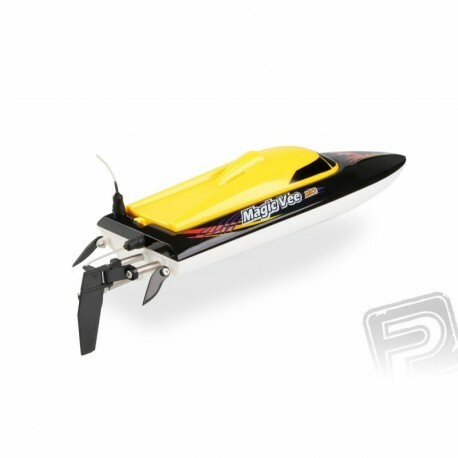 Sharp turn provide a "cut" adjustable auxiliary fins on both sides of the rear fuselage. Control provides two-channel pistol transmitter 2.4GHz, on-board electronics comprise a receiver combined with electronic speed controller protected against the ingress of water and 9 g servo helm. 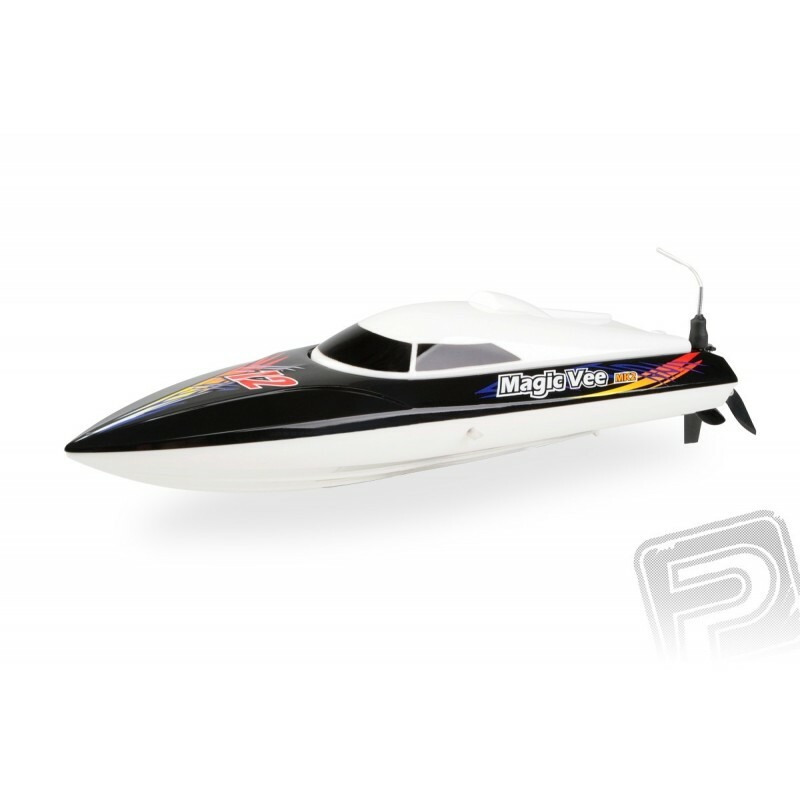 The rudder control and engine speed is fully proportional. 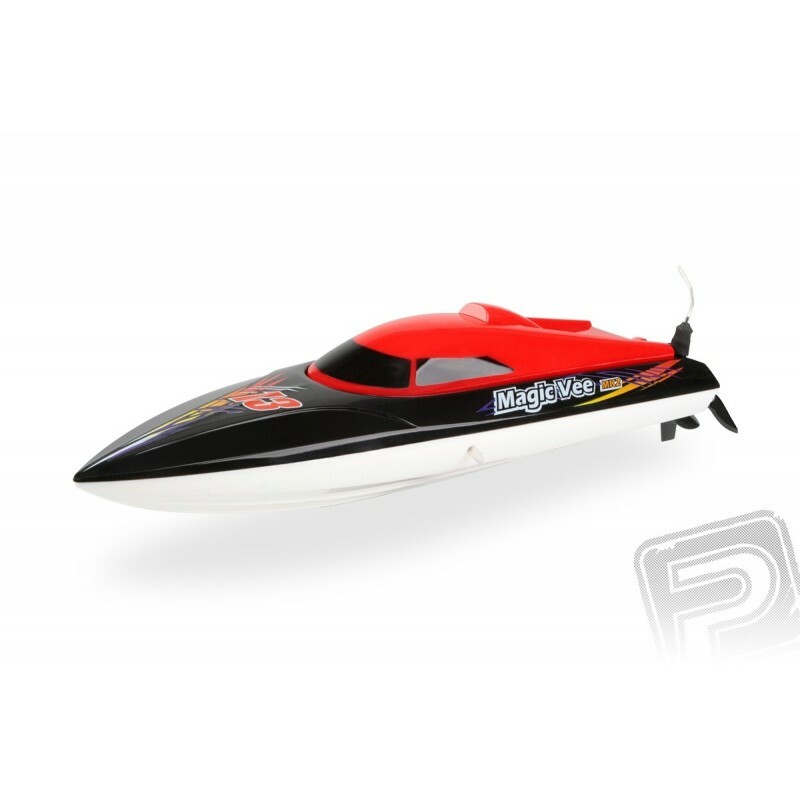 Access to the engine, battery and electronics with a top removable cover features a rubber seal which ensures tightness against ingress of water into the ship. To drive the model supplied six-cell battery pack NiMH 7.2 V / 260 mAh, it being charged charger serves 400/550 mA. 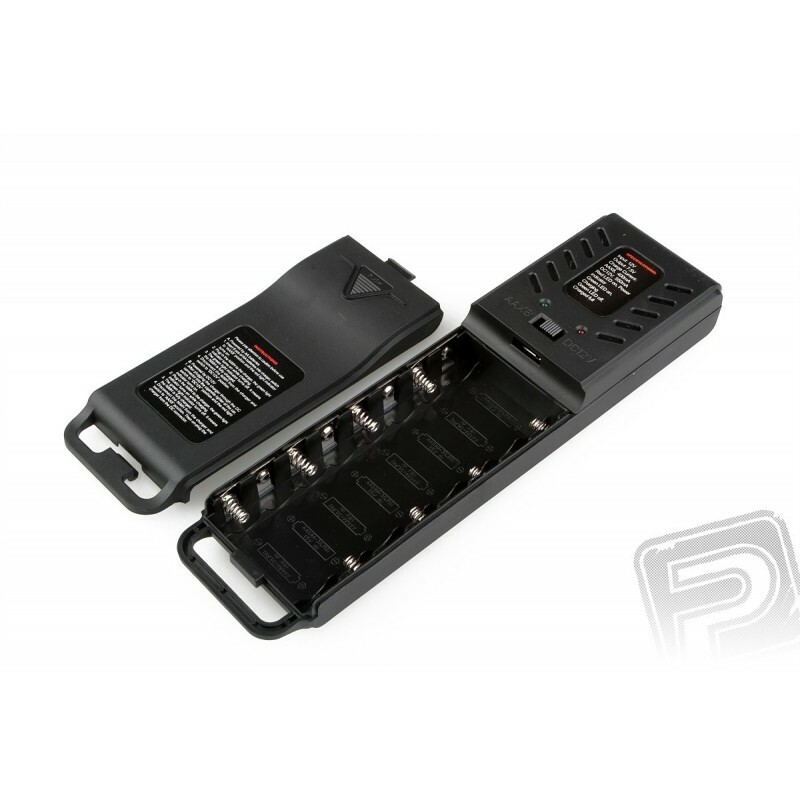 To power the transmitter used platelet 9 V battery, which is also part of the RC set. 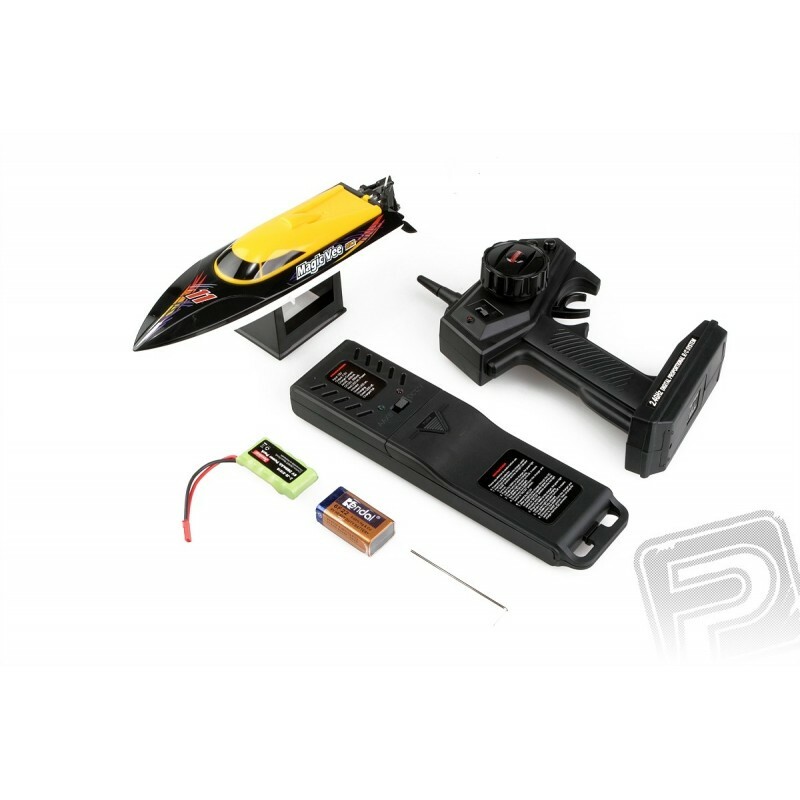 With this equipment, model reaches speeds of up to 20km / h.
RC set includes: finished model, ready to sail, two-channel pistol transmitter, power pack 7.2 V / 260 mAh charger for the flight battery, 9V battery platelet, plastic stand and a detailed instruction manual.